During the American Physical Society's April Meeting 2019, being held April 13-16, in Denver, Colorado, Christopher S. Moore, a postdoctoral fellow at the Harvard-Smithsonian Center for Astrophysics in the Solar and Stellar X-ray Group, will describe how the twin Miniature X-ray Solar Spectometer (MinXSS) CubeSats measure soft X-rays from the Sun. These were the first solar science-oriented CubeSat missions flown for the NASA Science Mission Directorate. "This work demonstrated that these small, relatively cheap—ranging from $1 million to $2 million for MinXSS—CubeSats can collect data that fills a specific niche and is consistent with large satellites, which are much more expensive, and contribute to major science investigations," said Moore. "MinXSS measures solar soft X-rays between 0.5 to 12 kiloelectron volts at moderate spectral resolution, which includes the sparsely observed 0.5- to 2-keV bandpass," explained Moore. "This spectral region is highly informative of the solar atmospheric plasma conditions for temperatures greater than 2 million kelvin present in solar flares and during quiescence (dormancy)." The data collected by MinXSS has been consistent with inferences from large satellites. 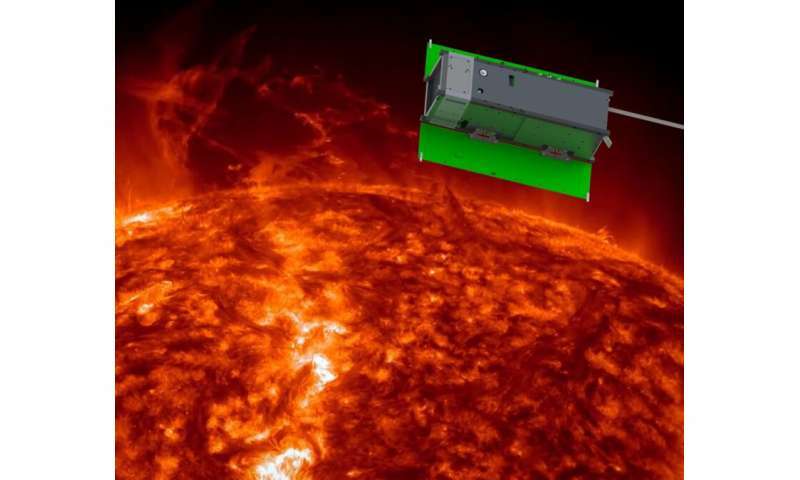 "MinXSS data will help us understand the physics behind solar flares," Moore said. "The soft X-rays carry information about the temperature, density and chemical composition of material in the Sun's atmosphere, which allows scientists to trace how events like flares and other processes during calmer times heat the surrounding material in the corona, the Sun's atmosphere." Variations of the solar X-ray emission strongly correlate with large-scale magnetic features called active regions. "These active regions appear as bright loops in soft X-rays, but appear as dark spots at the solar surface (the photosphere), so they're called 'sunspots.' MinXSS data can help directly constrain the plasma temperature of these relatively quasi-static features," Moore said. 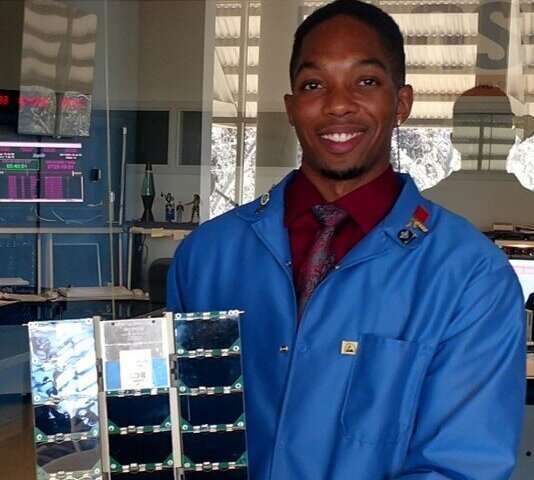 CubeSats provide "excellent opportunities to train future leaders in technology and science, as undergraduate students, graduate students and postdocs commonly have pivotal roles in design, development, testing, mission operations and science analysis," said Moore. "More than 40 graduate students at the University of Colorado Boulder contributed to MinXSS over the project's lifetime." Last I read they were 4-inches by 4-inches! Where are you getting your BIG BREAD?